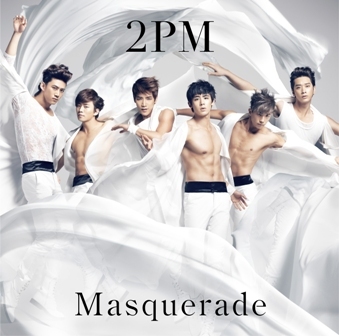 2PM’s new Japanese single “Masquerade” has been chosen as the opening theme song for Nihon TV’s music program,‘Happy Music’. “Masquerade” which was released on the 14th of October immediately rose to the top of Tower Record’s preorder chart. The single maintained at the top three spots for eight consecutive days, proving 2PM’s great popularity in Japan. Due to the high demand, Japan’s Sony Music is in production to increase the number of singles. The new single was created by famous producer NA.ZU.NA and M.I, who have worked with popular Japanese singers like Arashi, Koda Kumi, and SMAP. “Masquerade” is a dance song with a heartbreaking story behind it’s lyrics. 2PM sure captured the hearts of their listeners with their smooth vocals and masculinity as well.